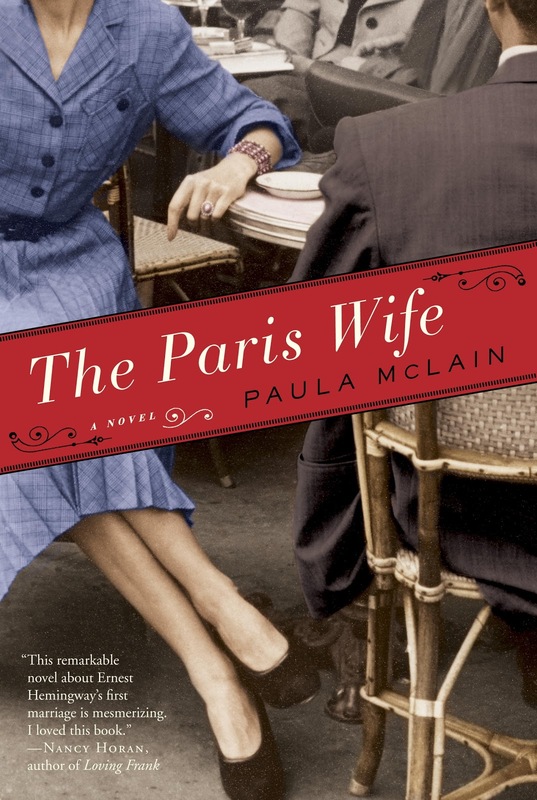 THE PARIS WIFE, by Paula McLain, is a story about love, longing, ambition, success, and betrayal. Meticulously researched and carefully written, it fictionalizes the courtship, marriage, and eventual marital destruction of Hadley Richardson and her beau, Ernest Hemingway. The novel brings us into the roaring 20’s in Paris, alights our imagination with anecdotes of Ezra Pound, Gertrude Stein, James Joyce, and F. Scott Fitzgerald. No divorce is pleasant, and here, the specifics of the unraveling of their marriage and subsequent divorce are carefully detailed. Pauline Pfeiffer, Hemingway’s second wife, was Hadley’s best friend in Paris, her confidante. Pauline loved Hemingway’s writing, and saw and supported his vision for his future. Hadley believed in Hemingway, but she also knew who he had been, and struggled to adjust to her now famous and very different husband. To say that I wanted to love this book would be an understatement. A MOVEABLE FEAST is one of my most loved, most treasured books of all time. I dove into this book hoping for the same sense of romance, nostalgia, and beauty. Hadley had always been my favorite of Hemingway’s wives and I hoped that this book would transport me to a magical Parisian time of artists and muses. With much sadness, I must say that I was sorely disappointed. I was not swept up in the Gilded Age of flowing wine, street cafes, and racous parties. The book depicts these, of course, but I was never captivated. I felt, while reading, that I remained hovering above the pages; I was never sucked in. When it was over, I was glad. The book depicts Hadley as a spineless and boring wife without hobbies (except for her piano) and with out passion. In the Paris she claims to love she is lost, she always feels as though she is the outsider. When meeting artists and writers she remains on the fringe, always remaining above the action. To be honest, if I had been Hemingway I would have left McLain’s version of her too. She doesn’t fight for her marriage, she doesn’t confront Pauline, she barely stands up for herself. This book, effectively, broke my heart.  Archived in Book Recommendations, Iconic Literary Men and tagged Hadley Richardson, Hemingway, literature, Paula McLain, The Paris Wife, The Sun Also Rises, writing. Bookmark the permalink.